Sarah Van Beurden joined the Ohio State University in 2009. She is a member of the department of African American and African Studies, but is also affiliated with the departments of History and Art History. Dr. Van Beurden is a historian of modern Africa, with a special interest in the cultural history of colonial and postcolonial Central Africa. She is the author of Authentically African: Arts and the Transnational Politics of Congolese Culture (New African Histories Series, Ohio University Press, 2015) as well as several articles and chapters on the history of Congo’s decolonization, African cultural heritage and museums, the role of cultural politics in development policies, and the reinvention of African ethnographic objects into art. Her work has appeared in journals such as The Journal of African History, History and Anthropology and African Arts. Dr. Van Beurden has held fellowships at the Institute for Historical Studies at the University of Texas in Austin and the Käte Hamburger Kolleg and Centre for Global Cooperation Research at the University of Duisburg-Essen (Germany). 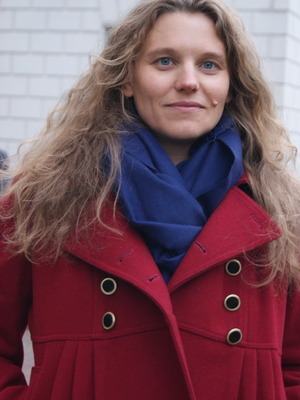 She is currently also affiliated with the Max Planck Institute for the History of Science in Berlin. Dr. Van Beurden is on leave Fall 2015 through Spring 2016.